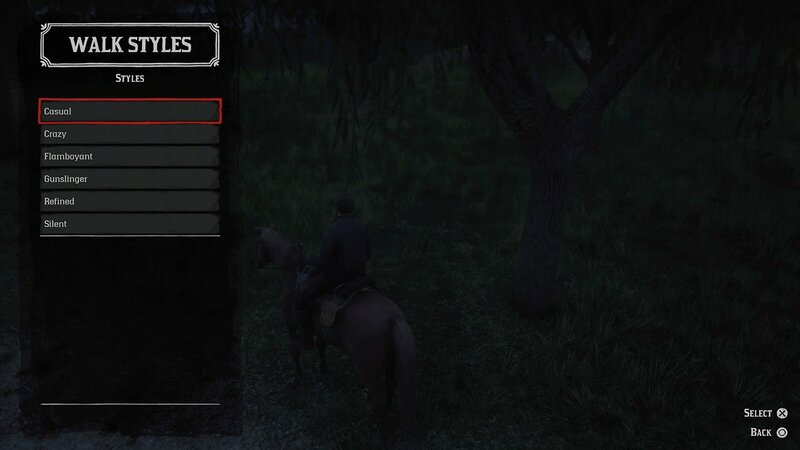 In Red Dead Redemption 2 Online, you can change your walk style. Obviously, this just changes how your character appears when he is walking around the map. There are 6 default options to choose from. These are Casual, Crazy, Flamboyant, Gunslinger, Refined and Silent. You can switch between each of them at any time by heading into the game menu. Below, we’re going to show you how to change your walk style in Red Dead Redemption 2 Online. If you want to check out some more guides for the game, you can see our dedicated section here. To start, open up the Player Menu. You can do this by pressing the Left D-Pad button on your controller. On the menu that pops up, choose ‘Online Options’ that can be found at the bottom. 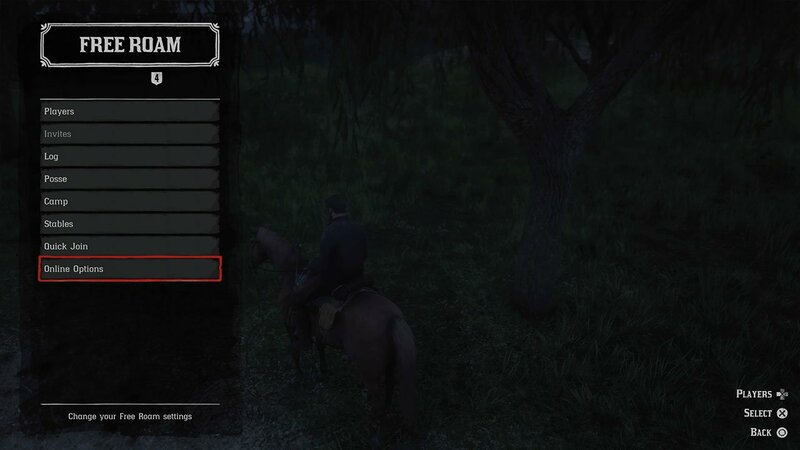 In this menu, you can change some options such as voice chat, emotes and walk styles. Choose Walk Styles, and you’ll see a window similar to below. On the list are 6 walk styles. Again, these are Casual, Crazy, Flamboyant, Gunslinger, Refined and Silent. Choose the one you want your character to use.